First published in 2002, the ‘Dirty List’ named and shamed companies linked to the military dictatorship in Burma, or linked to human rights violations. 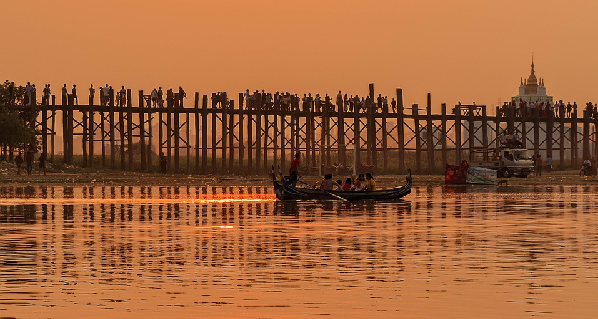 More than 100 companies ended their involvement in Burma after being exposed on the list, including British American Tobacco, PWC, WPP and P&O Cruises. The list was discontinued after Burma’s democracy movement dropped calls for targeted sanctions. The new ‘Dirty List’ will focus on companies supplying the military in Burma, companies doing business with the military, and companies involved in projects linked to human rights violations. Consideration will be given to any potential impact on job losses for ordinary people in Burma before a company is added to the list. Burma Campaign UK hopes to publish the first new list early in 2018 and will update it regularly. In July 2017, Burma Campaign UK began a consultation on reviving the ‘Dirty List’ as one way of adding pressure on the military to end human rights violations. They are committing violations not just against the Rohingya, but also against people in other ethnic states such as Kachin and Shan States. Burma Campaign UK published a briefing paper: Is it time to revive the ‘Dirty List’ of companies helping Burma’s military? and conducted an online survey. The response was overwhelmingly in favour of reviving the ‘Dirty List’ as one measure, among others, to pressure the military. “We hope this new ‘Dirty List’ will force companies to stop supplying and funding the military in Burma,” said Anna Roberts.